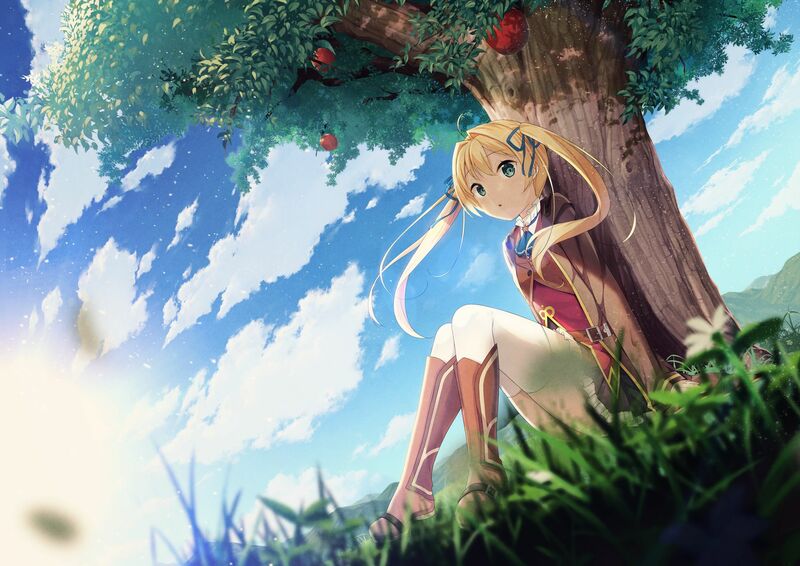 When I first saw the Kickstarter for Newton and the Apple Tree I was instantly intrigued by this visual novel. This one is an alternate history of Europe where you discover Sir Issac Newton was actually a girl while searching through time for your grandfather. I’ve never quite read anything like this, so I waited patiently for the game to release, and that day has come! Now that I have read this front to back let’s see if the wait was worth it. Syuji Asanaga and his childhood friend Yotsuko Utakane are tracking down Syuji’s grandfather that has turned up missing. 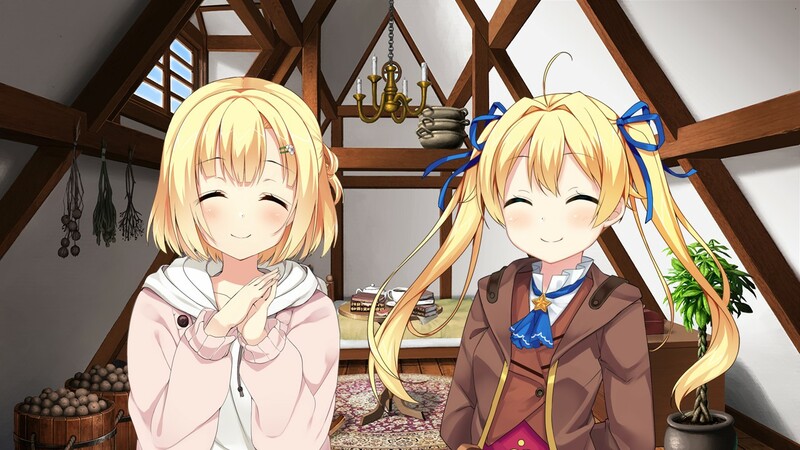 The duo end up traveling to Tenbridge University, since Syuji’s grandfather was obsessed with Newton and had left the duo two plane tickets to England along with a mysterious key. They soon discover a cabin that none other than Newton had once used to study in. The mystery soon thickens as they find a hidden room with a telescope in it. As they examine this telescope they discover a keyhole, and using the key his grandfather had sent, they accidentally travel 300 years into the past. 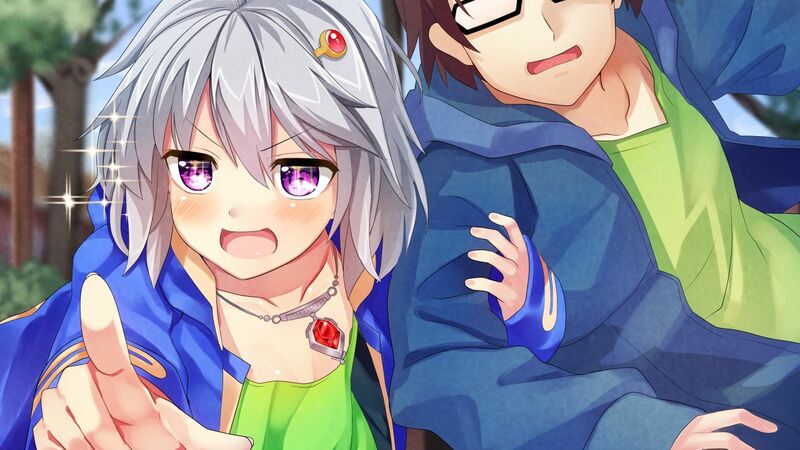 When they have arrived at their destination Syuiji finds himself grabbing a small chested girl and Yostuko’s breasts. This flat girl would turn out to be the famed Sir Isaac Newton! He didn’t realize it at that moment but he had erased one of the greatest scientific discoveries in human history. Now along with the help of Yotsuko they will not only have to search for Syuji’s missing grandfather and find a way home, they will have to repair history itself. 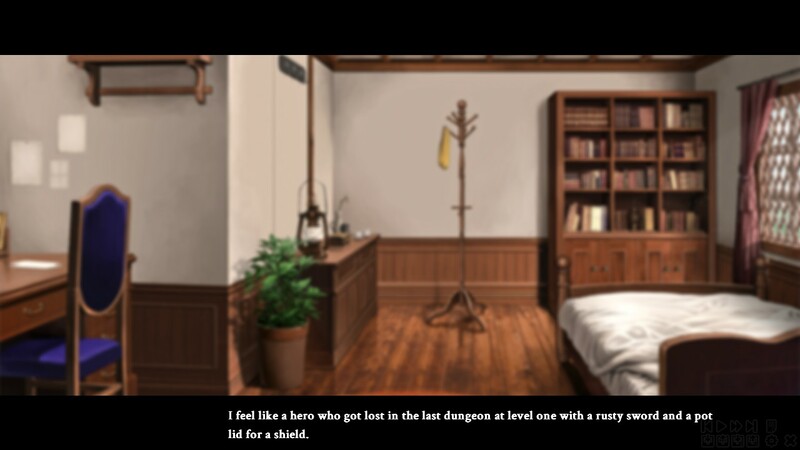 There are a lot of twists and turns here as you work through the stories of the five heroines in the game. You may also learn a few things about science and history along the way! Each girl has their problems and some amazing personality quirks to go with them. 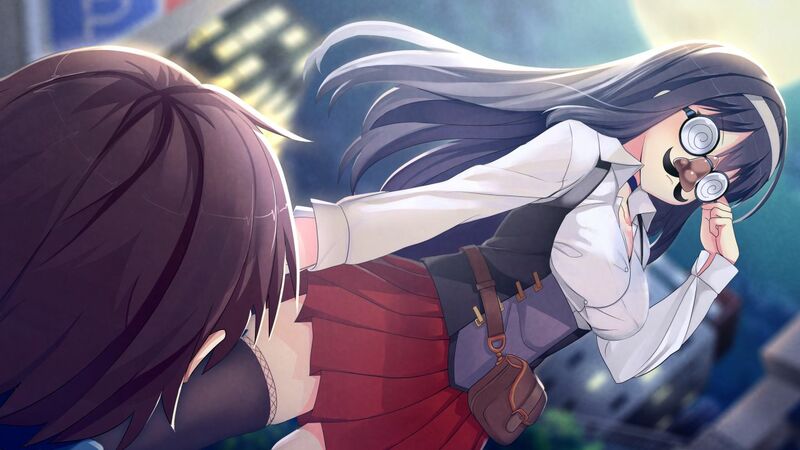 The routes play out kinda like a continuation of each story, since one choice in the middle of each route will start the next one. Most of these are pretty easy to figure out, but if you need help there is a handy dandy guide on Steam that will tell you what choices to make and when to make saves. I want to spend some time talking about each of the wonderful ladies found in this game. 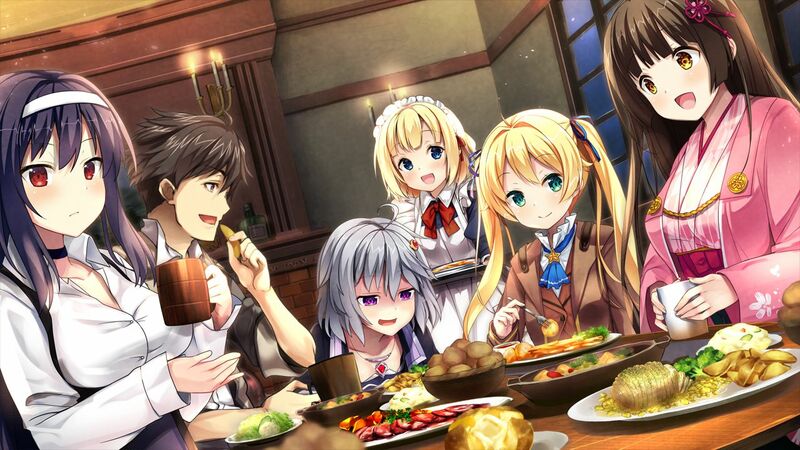 I rarely find a visual novel in which I can say loved all of the cast, but here we are. We’ll start with Lavi Gier, she is a genius girl that invents lots of great gadgets and stuff to get you out of binds. 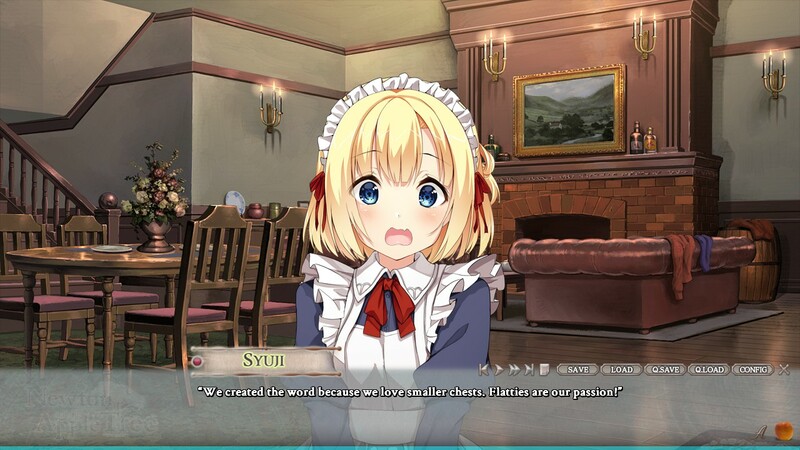 The problem is her curiosity leads her to experiment on Syuji as well, and he is not impressed with some of the things she decides to check out. Her deduction skills are second to none, this girl could give even the most hard nosed detective a run for their money. She may seem a little crazy but I think most will find her charms far greater than her shortcomings. 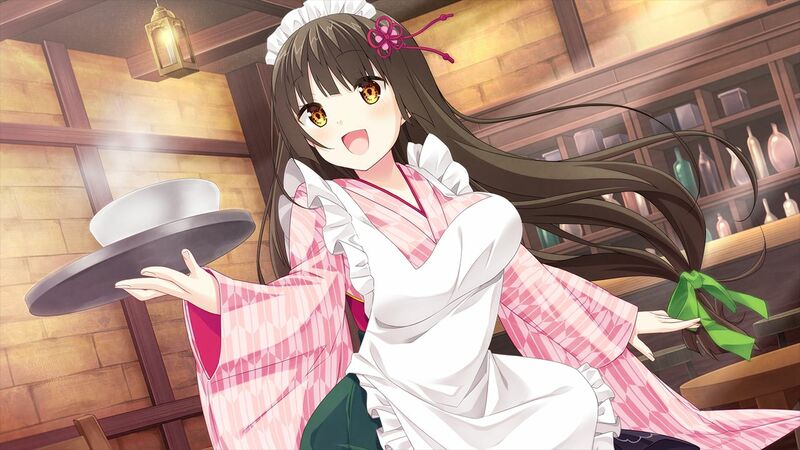 Next up let’s take a look at Syuji’s childhood friend, Yotsuko Utakane. This is one of the most down to earth girls you will ever meet. Most would find her a bit sharp tongued. I got more of the impression she just doesn’t have that filter that tells her not to say harsh things, rather than her just saying them out of spite. She had a hard time convincing Syuji to even go look for his grandfather, since he was leaving the life of science behind to be a musician. 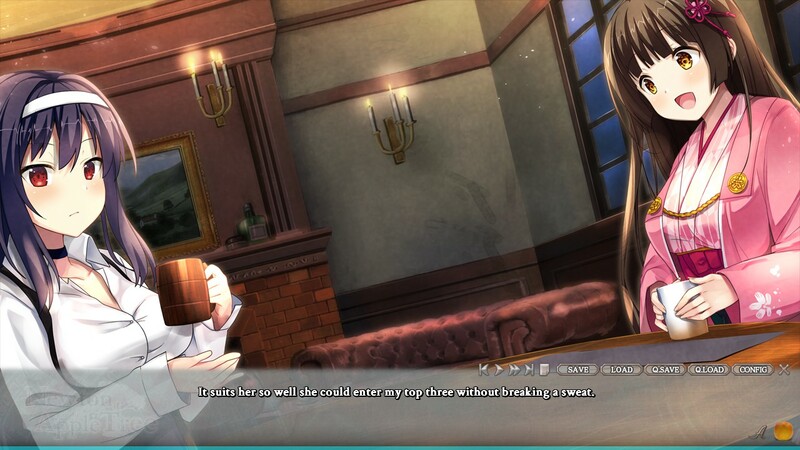 The way she gets him to go on this trip is very comical and one of the best parts of the common route. She’s a level headed beauty that measures everything, and I mean everything! 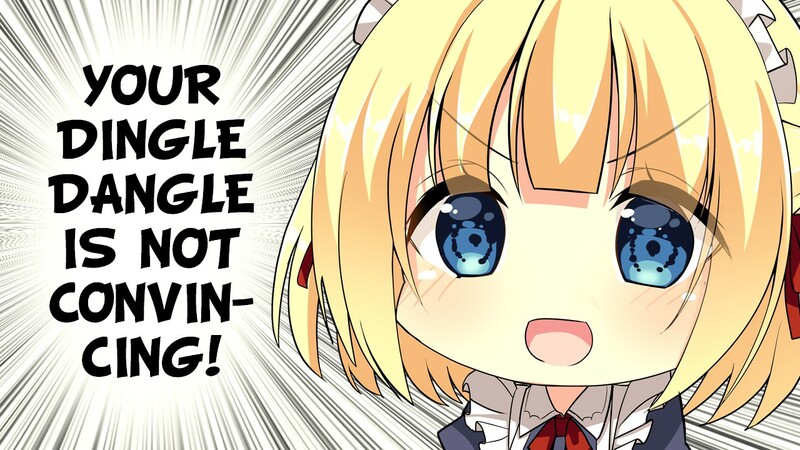 Somehow this comes off as very cute and charming. She is the very definition of a cool beauty, and most will find their time with her quite enjoyable. Our next girl is Haru Tsukumo. She is an exchange student from Japan, but she has never seen her home country. Her grandfather moved to England before she was born and Japan has since closed it borders. She studies astronomy and is very close with Alice. The two often support each other in both of their dreams and research. One of Haru’s dreams is to one day visit Japan and she is fond of all things Japanese, Syuji being no exception. She is very kind and understanding to the point where you’d almost swear she was an angel from heaven! This quality is what makes her very attractive. Her beautiful looks are only a bonus. The potato maid Emmy is up next! She may seem a bit loopy at first, but she is one of the hardest working girls on campus. Emmy takes her job very seriously as she cooks and cleans the dorm everyone resides in. She is working hard to support her younger brothers after their mom passed away. Being very knowledgeable about any place on campus is a given, since her work takes her all over it. Her first love however will always be potatoes. She grew up on a potato farm and they are her truest love! 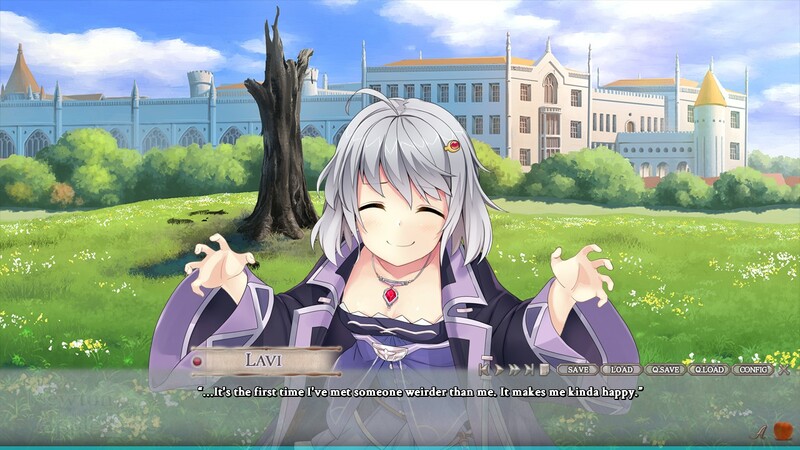 She is one of the most sincere and most earnest characters you will ever find in a visual novel, and this makes it almost impossible not to fall in love with her instantly! Finally we come to Isaac Newton herself, Alice Bedford. Full disclosure here, I am completely biased when it comes to Alice. I’m almost certain that when character designer Bekotaro came up with her, she pulled her out of my dreams. A beautiful, blonde twin tailed tsudere gal hits like 90% of my switches all at once. Add to that she is super intelligent and easily embarrassed and she had me almost from the get go. You may be asking yourself, if she is so brilliant why didn’t she turn in the thesis to the university under her own name? Well 300 years ago scientists were very sexist and it was prohibited for women to even turn in a thesis. 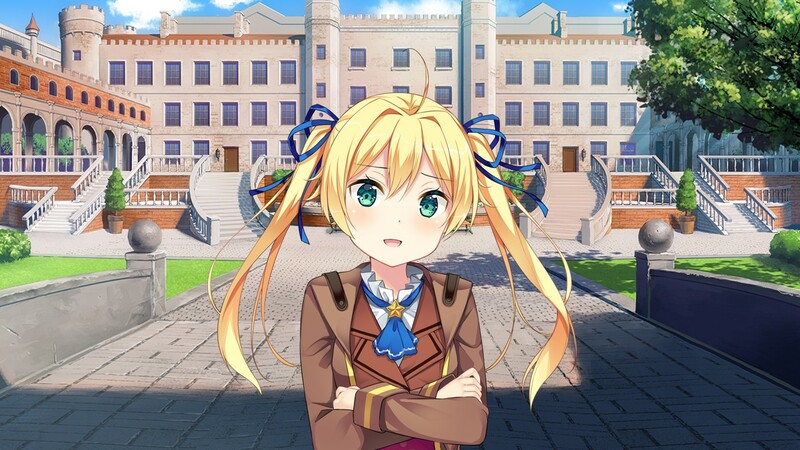 Despite this Alice was determined to become a world famous scientist so she came up with the pen name “Isaac Newton.” She is an overachiever and this makes her a bit prideful and arrogant at times, but she is never above taking advice from those she is close to. Like any true tsundere once you melt away the abrasive layers you find a gentle heart that just doesn’t want to be lonely anymore. Alice is a true treasure and once you’ve seen her story it will most certainly inspire you. When I finished the entire game I felt completely satisfied with the story. The work Sol-Press did while localizing Newton and the Apple Tree was outstanding. The team there did an amazing job with the writing and editing. All of the jokes and more serious moments are conveyed perfectly and readers will have no problems at all keeping up. The team even went that extra mile and gave you a toggle for Honorifics, so instead of folks arguing over which is better, you can set it to your preference. They even did a good job on the H-Scenes. This an area I notice some folks skimp on a bit, but here they feel very natural and fit into each route like a glove. There isn’t any out of place silly writing or text that feels like they are being forced into the story just to have them there. Everything flows naturally and it always feels like a natural progression of that relationship. The artwork found here is a great quality as well. I loved all of the character designs and the backgrounds are detailed and varied as you explore England of the old world. I think the best part about the backgrounds is the girls rooms. They really show off their personalities even more. 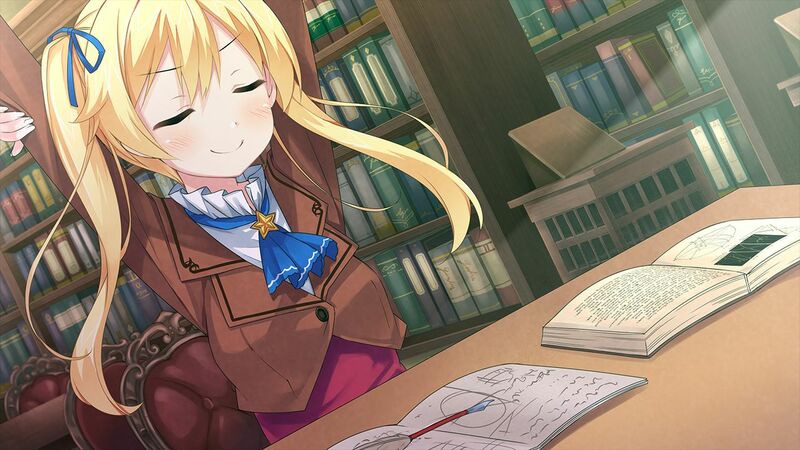 Alice’s room is filled with papers everywhere as she may be a genius but she tends to write in books and throw things around. Emmy’s room is of course full of potatoes, because you knew it would be! The CG for the H scenes are all very well done and nicely detailed. There is not a mosaic in sight as every scene has been completely uncensored. 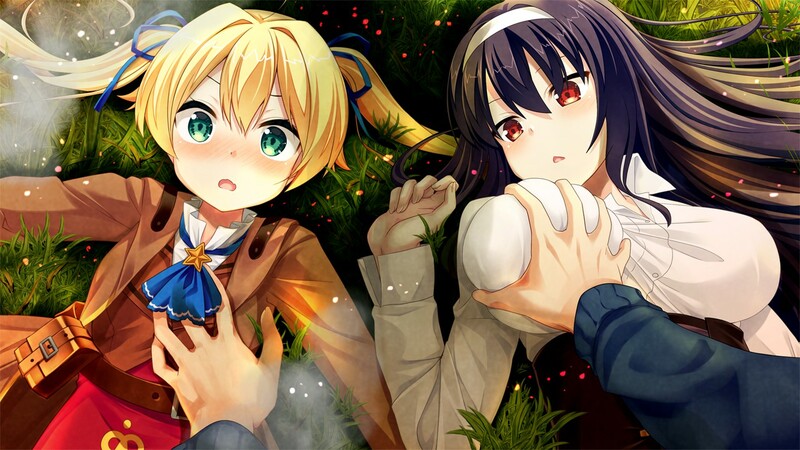 Each girl has at least two during their route and couple extra you unlock upon completing their story. Lavi’s extra scenes are freaking insane and I highly suggest you check those out for sure. The music found in Newton and the Apple Tree is great as well. There are lots of upbeat tunes for daily life and a couple of more somber themes for those emotional moments. I think all of the music tracks in the game are outstanding, but there just aren’t enough of them. There is around 14 tracks found in the game, but I felt like for a 20 to 25 hour game this really isn’t enough. While the tracks do fit the scenes well they start to lose their effect after you’ve heard the same one over and over. The voice acting found here it top notch. You can tell these were professionals as each character is brought to life by their solid performances. There are so many more wonderful things I would love to talk about in Newton and the Apple Tree, but without getting into spoiler territory I really can’t. 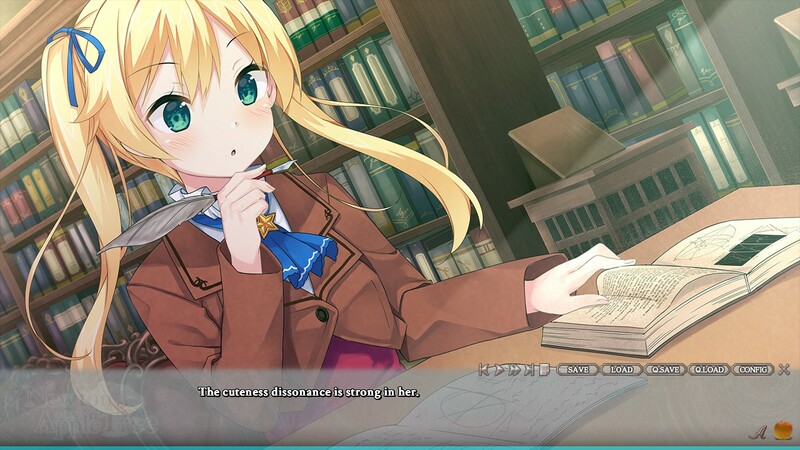 This is one of the best visual novels I’ve read in a long time. Its fantastic story is both humorous and emotional, and will have you questioning what you would’ve done in Syuji’s shoes well after you finish it. I mean how much would you give up for the one you love? Other than the need for more musical numbers my only other minor complaint is I wish the font size was a bit bigger. I think the team is working on a fix for this but it’s not out at the time of this review. The game will set you back $39.99 and is worth every penny of it. 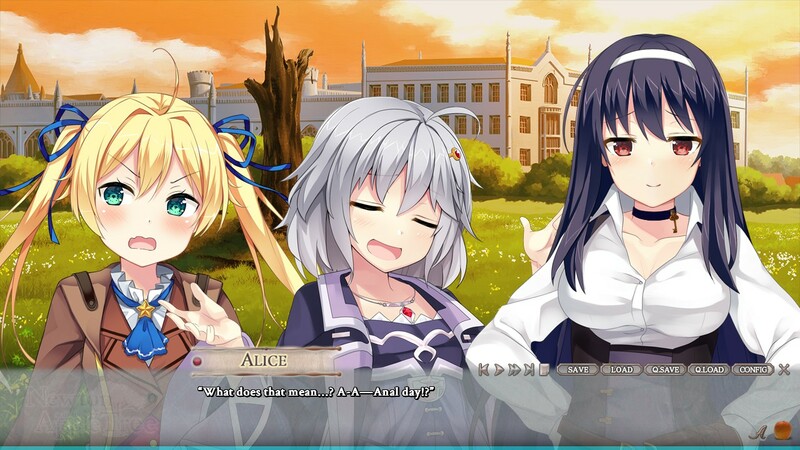 The game is heavily edited on Steam, but you can go to PantyPress.com and download a free patch to uncensor the game. There is of course the 18+ patch which restores all of the cut content or you can go for the 17+ patch which leaves out the CG for the H scenes but restores all the dialogue. 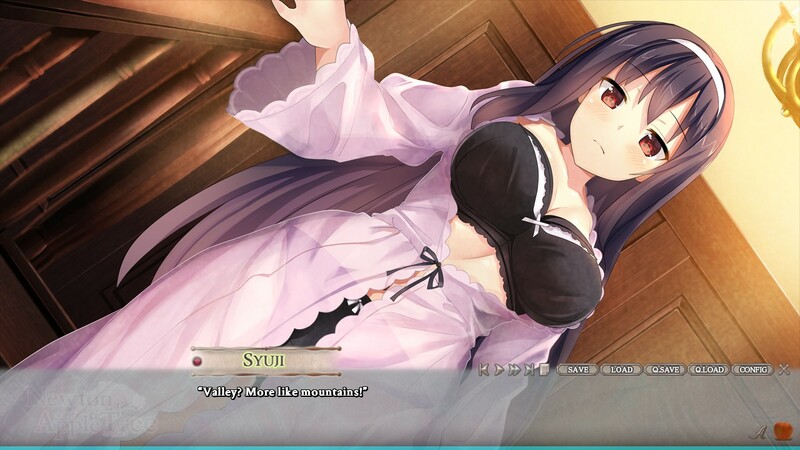 I would recommend this game for all fans of visual novels or eroge. It’s truly one of the best to come along in a long time. If you’ve never played a game like this, now is the perfect time to start. Playing this will start you off on the right foot in the genre.